Endeavor is a non-profit network platform that supports startup businesses and entrepreneurs by providing opportunity for growth. Endeavor finds the best solution for every challenge a company might have. With chapters all over the world, Endeavor can help your business from finding new employees to investments. Every year, the organization hosts the Endeavor Miami Gala and invites entrepreneurs to celebrate the achievements of the previous year. 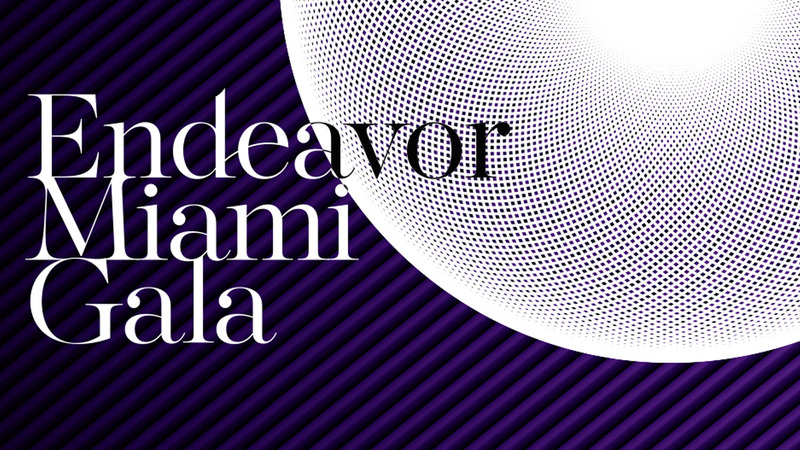 On the same night, Endeavor gives the Endeavor Miami IMPACT Award. We worked with Endeavor to create an experience that was worthy of this exclusive entrepreneurial group. Guests were mesmerized with the details on the invitations, imagery and branding, and we were honored to work with Endeavor to create this wonderful experience. Copyright © 2018 Nativo. All rights reserved.